Welcome to another Seize The Birthday challenge, and this time our theme is Rainbow. So this is the card that started off this week's rainbow craze. You can find details of how I did it on my Spotlight post at STAMPlorations yesterday (on a slightly smaller scale), and you'll find version two of this card on Tuesday's post here. 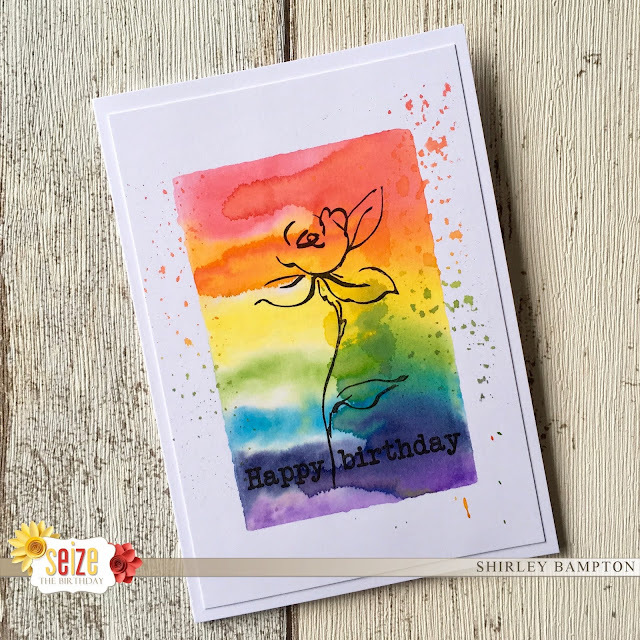 Our surprise party guest is Trina P - pop on over to the Seize The Birthday blog to see how Trina and the rest of the design team have created their rainbows, and play along with us. 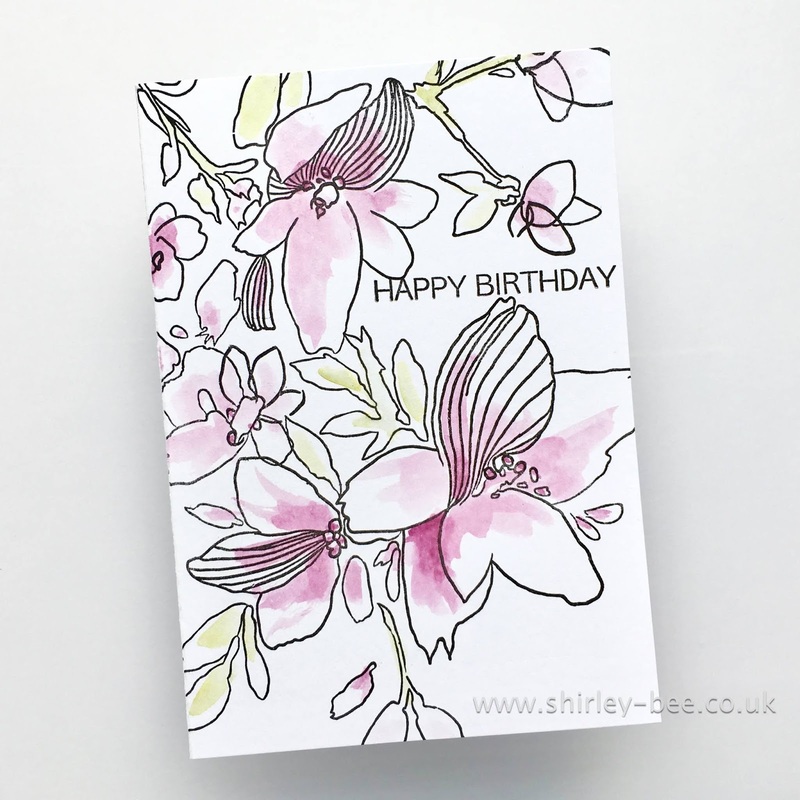 Still playing with the Altenew Sketched Florals stamp, which is great for a, erm, sketchy floral background! 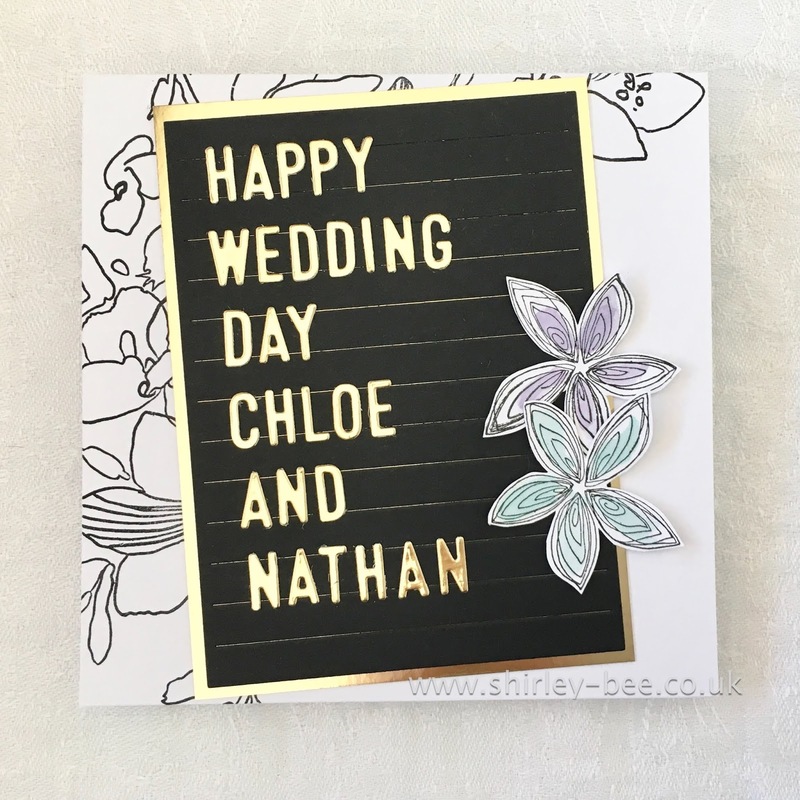 When I saw this Letter Message Board die set from Sugar Pea Designs, I had to have it (got mine from Seven Hills Crafts). It's perfect for personalising a card with names, or just creating your own message. I added a couple of Magenta flowers for balance and called it done. 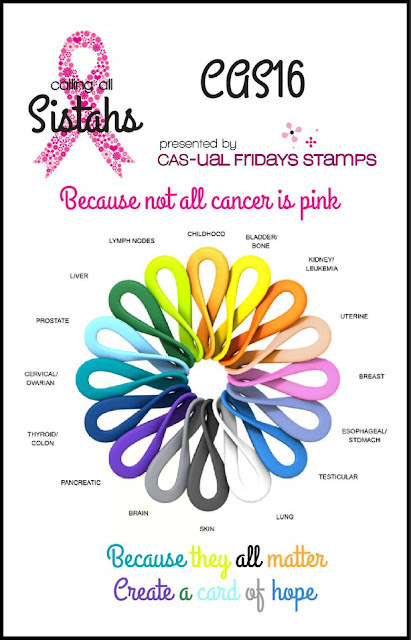 I'm over on the STAMPlorations blog tonight with a spotlight post on rainbow colour blocking. Pop on over! 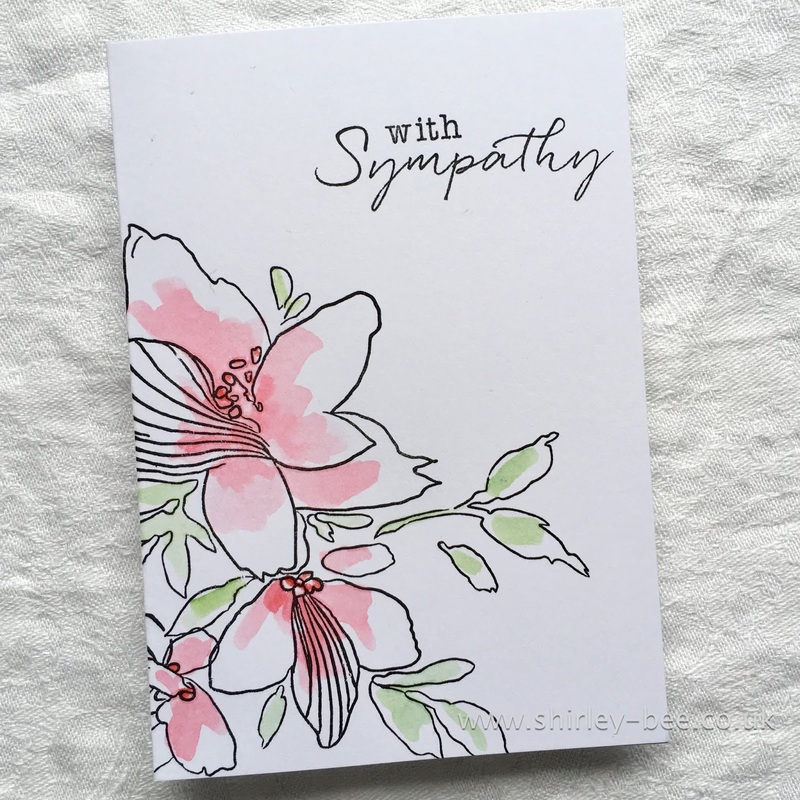 I've used Dee's Blooming Buds and a sentiment from Baa Baa. pop on over to the STAMPlorations blog for some more fabulous inspiration from the design team, and don't forget to leave a comment for your chance to win a gift voucher to the store. I love, love, love this Sketchy Florals stamp so much that I've left it on my MISTI so that I can keep playing with it (all I need is the time to play!). 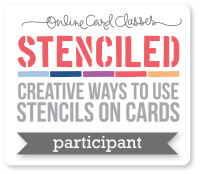 But a bit of sloshing is all it takes to make a very quick one-layer card. 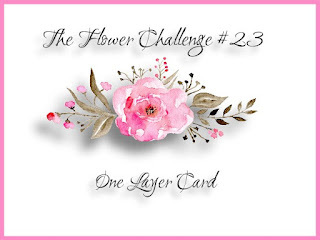 I'm playing along at The Flower Challenge - One Layer Card. 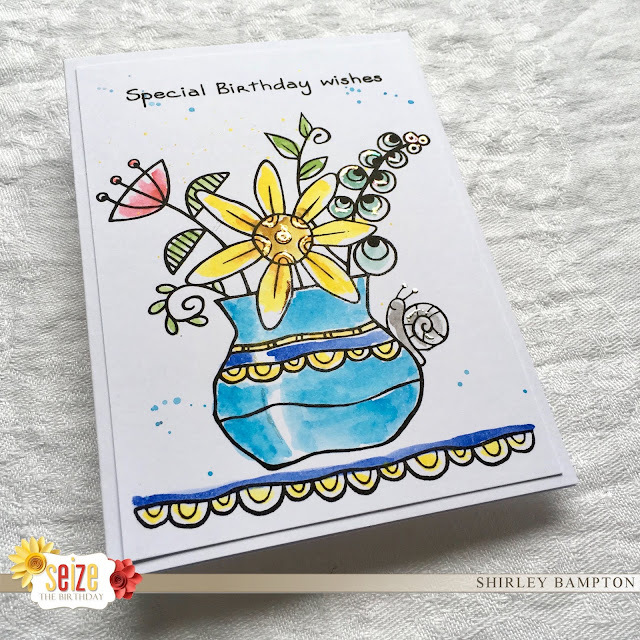 It's Inspiration Tuesday at STAMPlorations, and today I've delved into my stash of pre-stamped images and backgrounds and pulled them together to create this fun and funky birthday card. 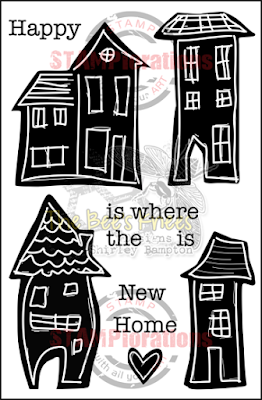 The background is painted and stencilled with Distress Oxides, a bit of white pen doodling and black paint splattering. 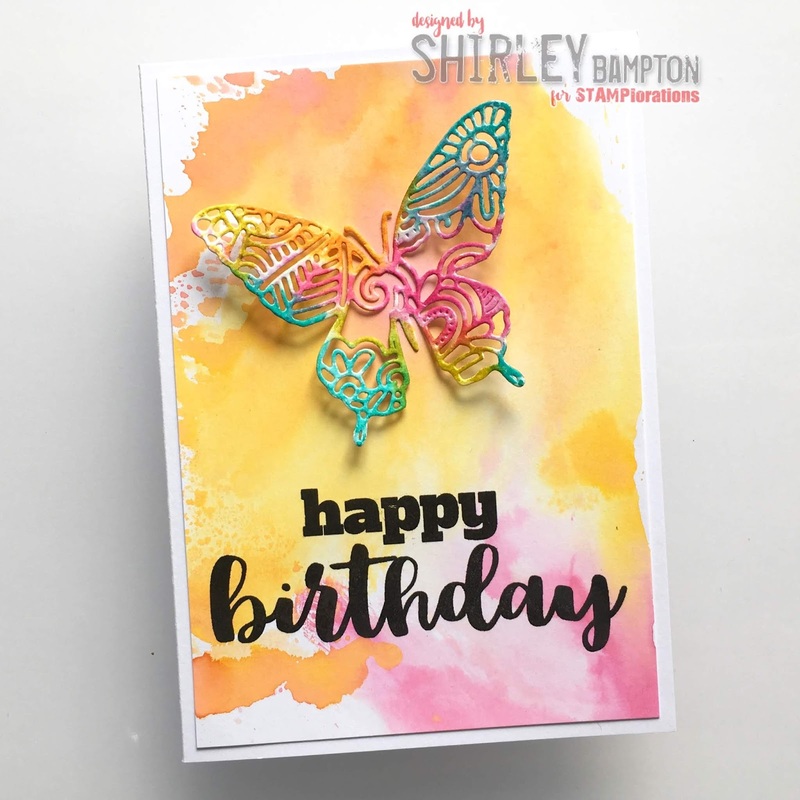 Pop on over to the STAMPlorations blog for some more fabulous inspiration from the team, and don't forget to leave a comment for your chance to win a gift voucher. 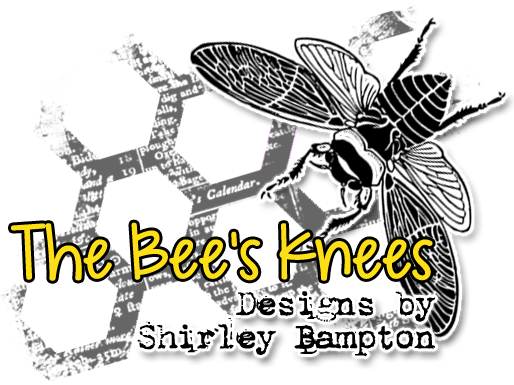 Today is a good day to do some STAMPlorations shopping - all stamps, dies and stencils are 15% off (no coupon needed) and if you use my code STAMPGIRLSHIRLEY you'll get another 20% off. 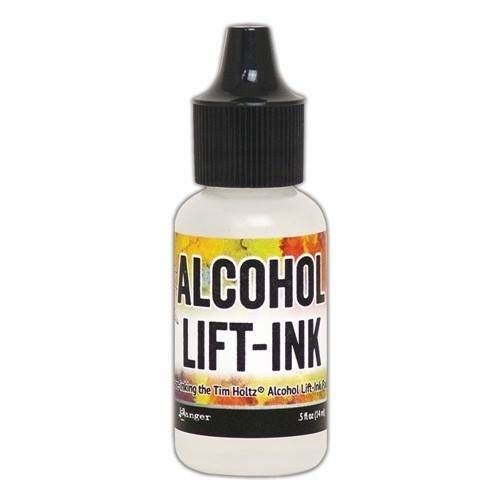 Hello, and welcome to a new challenge at Seize the Birthday. 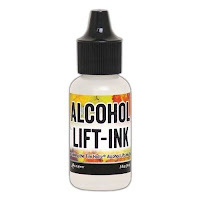 This time it's Anything Goes, so as long as it's on a birthday theme, you're in! 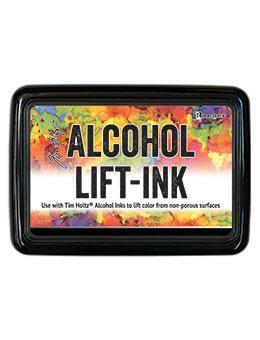 I've used a Woodware stamp set. The vase, flowers and snail are all one image, and the border is a separate image. I used foils to add highlighting on the snail, the flowers and the vase (although that doesn't show up in the photo), and added some splatters. 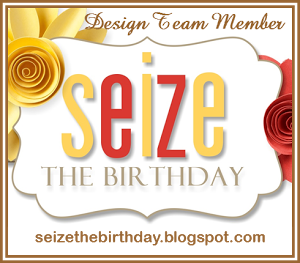 Pop on over to the Seize The Birthday blog for some more fabulous inspiration from the team, and play along with us. 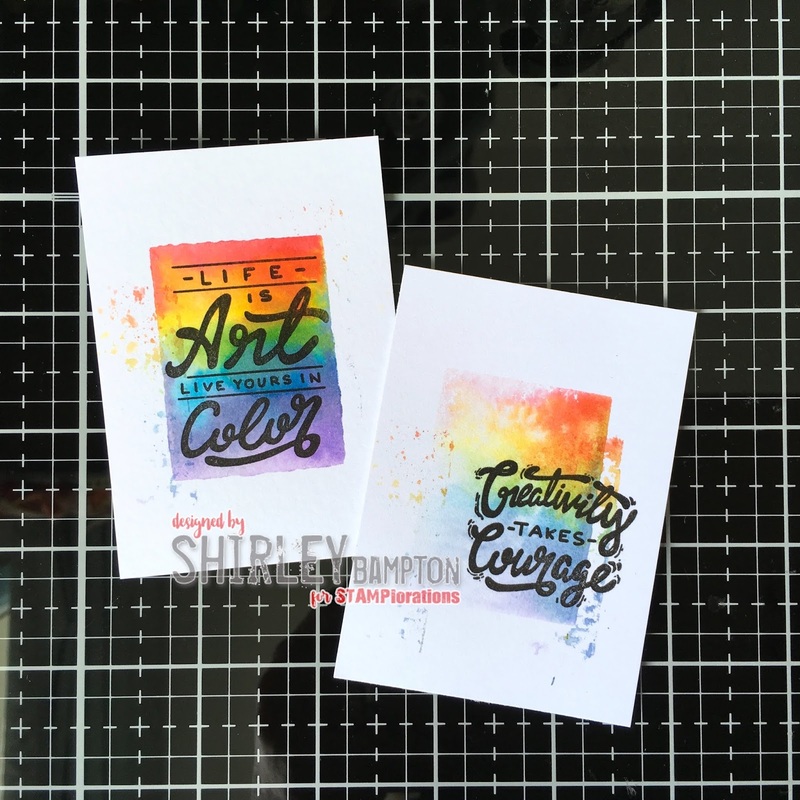 I'm joining in at Simon Says Monday Challenge, Sprinkles and Splatters. 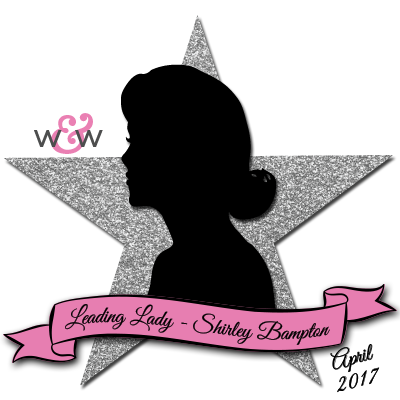 It's Inspiration Tuesday at STAMPlorations, and this week we've got something a bit different for you. At Cornelia's suggestion we're all doing Artist Trading Coins, which are all the rage at the moment. I'm not sure how long they've been around, but there's plenty of inspiration on the interwebs - try Pinterest or just google it. The only requirement is that the base is a 2.5" circle. 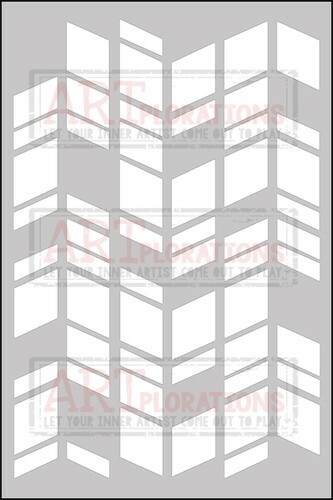 They are quite often made as sets of three or four, in the way that artist trading cards are. It's a brilliant way to use up all your scraps - just rummage through your bits and bobs and you'll have plenty of material. Having said that, you don't need to add embellishments, you could just stamp and colour them as a single layer. 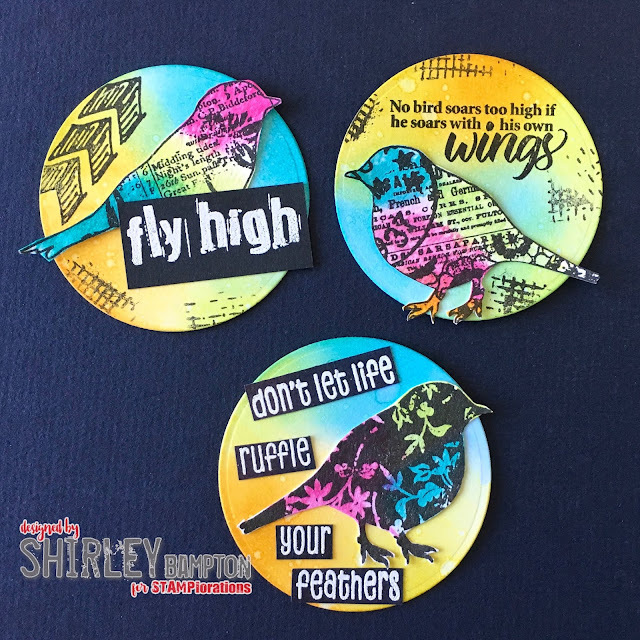 I had these Trendy Birds lying around so I stamped some grunge onto my sponged coins, and added some sentiments and the birds. Easy peasy. Pop on over to the STAMPlorations blog to sesame more fabulous samples of Artist Trading Coins, and don't forget to leave a comment for your chance to win a gift certificate to the store. Didn't get to post this on my blog on Wednesday due to an ongoing family emergency, but here it is now. 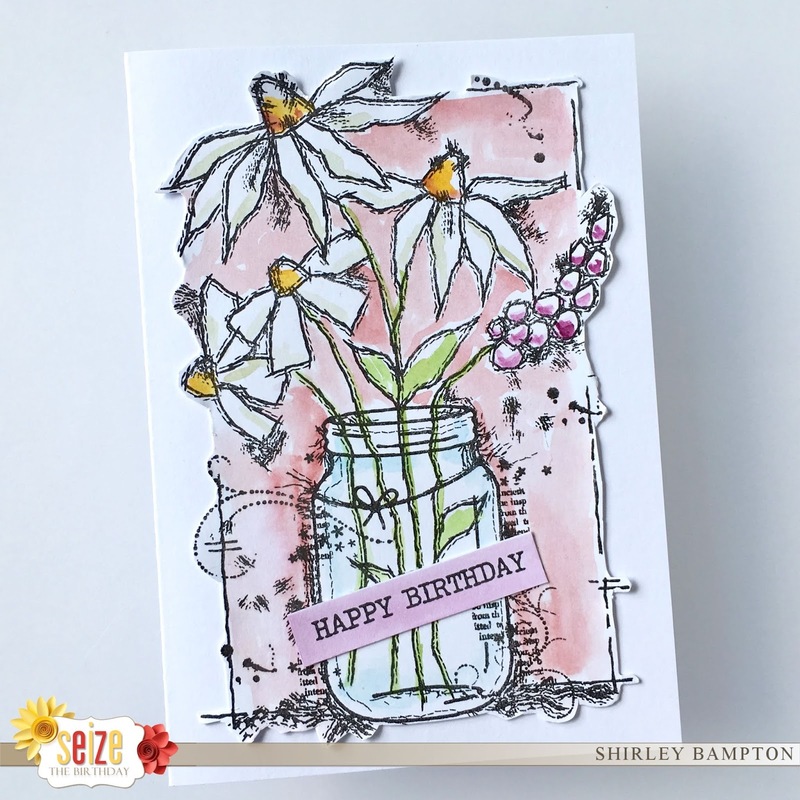 Full details of how I made it on the STAMPlorations blog. Welcome to another Seize The Birthday! 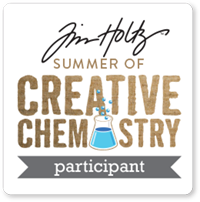 For this challenge our optional topping is Water: ocean, river, rain, water spritzing, watercolours, or water in a jar - what will your choice be? 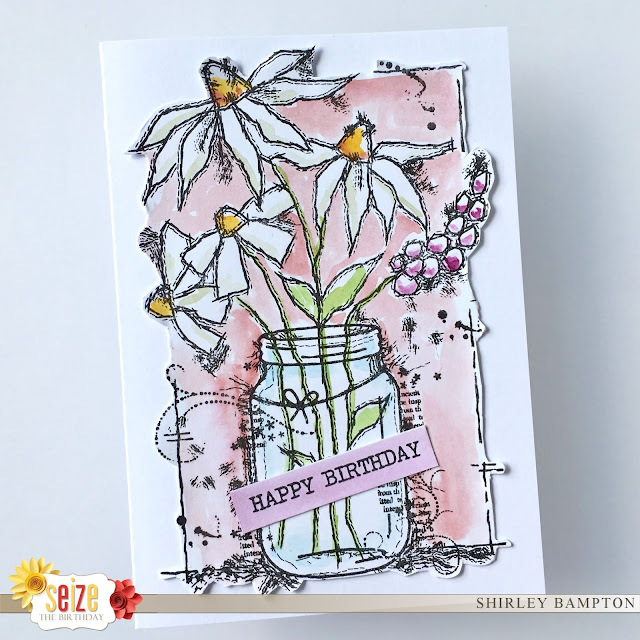 I've used a large single image stamp from Woodware, watercoloured with Distress Inks and added a birthday sentiment from Concord & 9th. 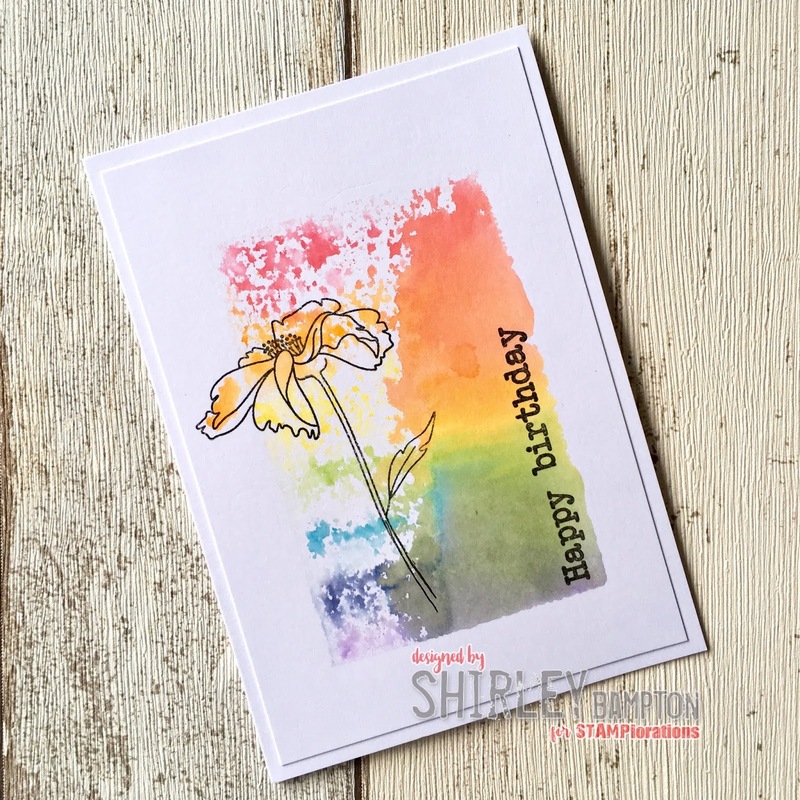 Pop on over to the Seize The Birthday blog for some more fabulous inspiration from the rest of the Design Team and our surprise party guest, Trina P, and play along. If you're not into water, you can still play along with any birthday-themed project.